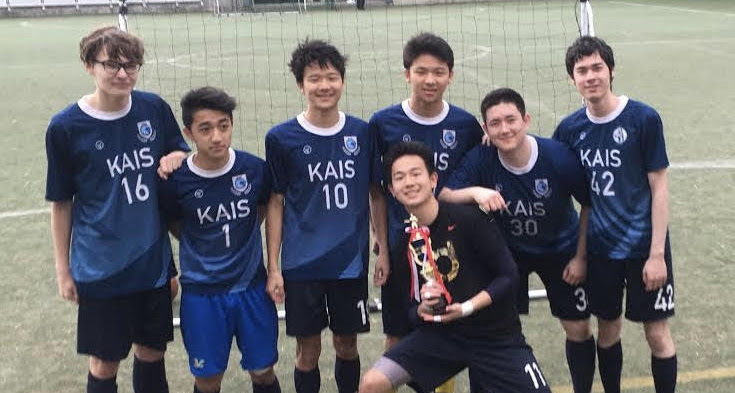 If you weren’t at the Meguro Kumin Center Gym this past Tuesday, you missed two thrilling futsal games against the Comets of KIST. First, the girls team, down by two goals at the half, came back to win 3-2. The boys team also fought back to win a hard-earned draw, puncuated by a penalty kick in the closing seconds. Want more? Both teams will be back in action against Columbia next Tuesday, 4/17. Kick-off is at 4pm.